Share this product and receive a $2.13 sharing discount. 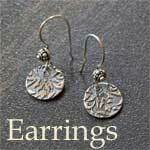 Precious earrings made of sterling silver. 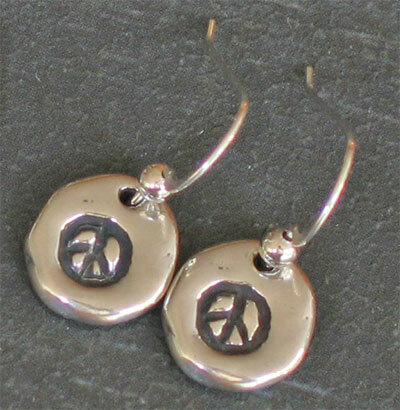 Each earring displays a peace sign on the front. Adapted from Philippians 4:7. Overall the earrings have a handcast feel to them as they are irregular with grooves and divets... quite popular in today's fashion! Each peace sign drop measures 1/2" and have been hung on a sterling silver shepherd's hook.